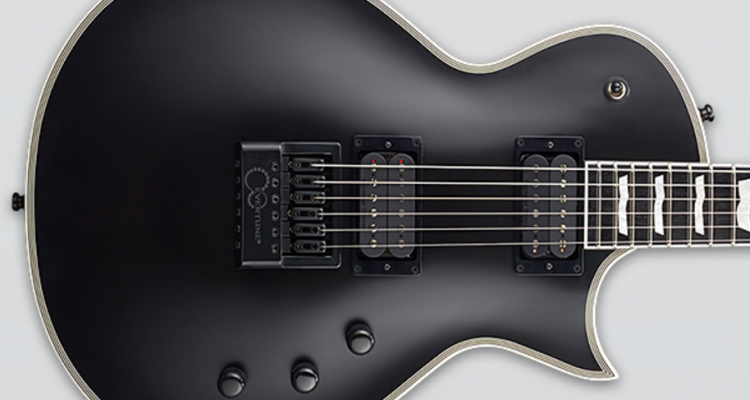 One of ESP’s most popular guitars of all time gets an upgrade: new pickups, new finish, and revolutionary Evertune hardware… the ESP E-II Eclipse Evertune! To say that this guitar stomps all over vintage tones would be an understatement. 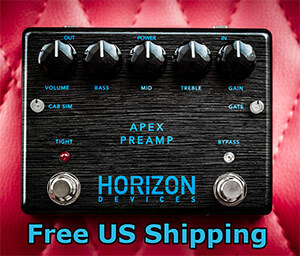 This is one axe that delivers unapologetically aggressive modern high gain tones straight out of the box. The guitar comes with Seymour Duncan Pegasus and Sentient pickups, which – in addition to it being some of our favorite Seymour Duncan pickups, are the some of the best offerings from Seymour Duncan, especially when it comes to modern metal tones. These high output pickups are both voiced for tight, modern tones, and while their EQ curve is ever-so-slightly slightly scooped, this is really well balanced by the mahogany construction. The solid mahogany body compliments the sound by giving it punchier mids and a full, beefy sound. While the bridge pickup delivers clear, full, and tight rhythm tones, the neck gives you rounded lead tones with surprising sustain. The combination of tight pickups and thick sounding construction turn this guitar into a beastly riff machine. 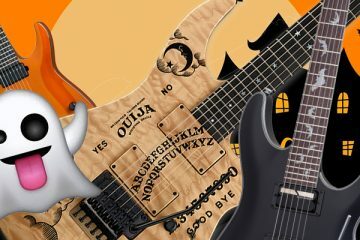 Now there is a downside to this – while the guitar gives you clear, articulate, crushing modern metal tones, the high output and voicing of these pickups mean you are sacrificing your clean tones a touch, and vintage tones are sacrificed even further. While the cleans are far superior to your average active pickup, the high output inevitably leaves something to be desired for those of us who live for glassy cleans. 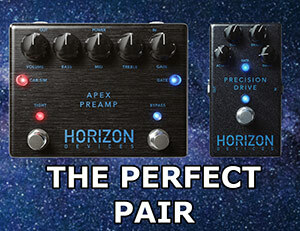 A coil split/tap option (and yes, there is a difference) or 5-way selector would’ve been nice to compensate for that. However, if you love the features and look but can’t live without some vintage tones or pristine cleans, ESP still has you covered. The Les Paul style design has always lent itself to feeling like a solid unit, and this one is no exception. The set-thru neck allows for increased sustain and tuning stability, but tuning issues are completely non-existent on this guitar… thanks to the combination of Evertune bridge and locking Gotoh tuners. For those who don’t know, Evertune bridges do exactly what it says on the tin, they keep your guitar in tune forever. They use springs to keep consistent tension on the strings, allowing you to adjust how severe the effect. You can set up the guitar to allow bends, or to compensate for them. In short… Perfect tuning. Always. Period. There are no rough fret ends to speak of on this guitar, and all the parts are a snug fit. The frets are well levelled and fret buzz is nowhere to be found, and while that should be the case with any guitar at this price, others still fall short. 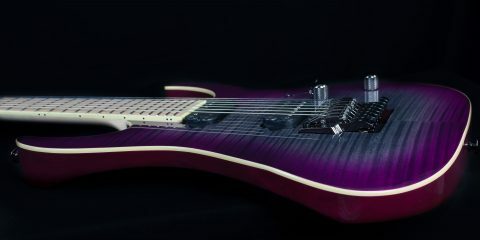 The finish has no flaws, and the binding is extremely well done. Overall, the build quality of this guitar is nothing short of fantastic. 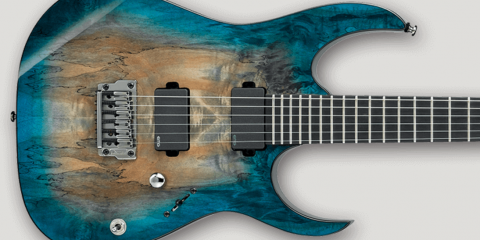 While this guitar isn’t quite the pinnacle of craftsmanship, it’s ridiculously close. If you’re looking for a modern metal machine that isn’t a gloss black superstrat, this will give you a unique guitar that delivers on all the features that modern music demands. We also hope you enjoyed this review. Besides reviews, we write a lot of technical articles, theory pieces, and more! Click here to find those! 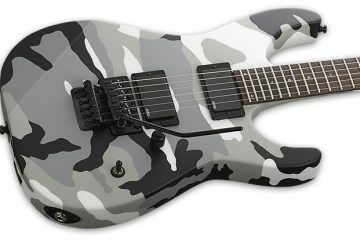 We are also authorized ESP dealers and can get you any current ESP you’d like at the best price possible! This article was written by Connor Gilkinson, our editor located in Canada.